The Zombies are a bit fetishized by music geeks and obscure vinyl bin divers. I’ve always loved Time Of The Season (I even own a 45 of it, from a very brief period when I thought I might collect 45s). 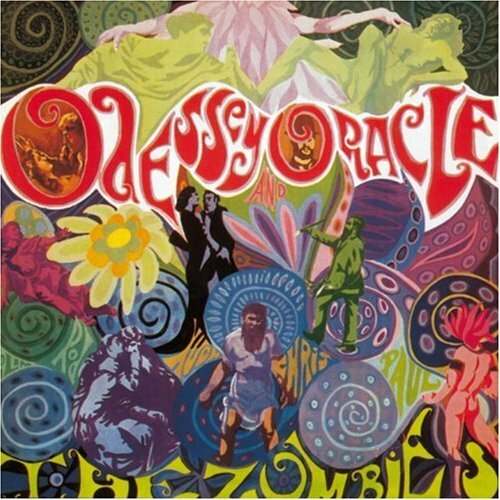 So when I saw Odessey & Oracle for sale on Amazon, I pounced. It’s certainly high-quality 60s psychedelic Brit-pop (lots of harmonies and stylized songs), plus they have a melancholy song called “A Rose For Emily”. Bonus points – not many songs are written for me! One thing bugged me though – what’s with the misspelled title? According to Wikipedia, it was a design mistake by the guy who made the cover, and the band tried to cover that up by saying it was on purpose. It’s memorable to spelling nerds, I’ll give you that.